France’s President Francois Hollande has said he plans a new law to punish denial that the 1915-1916 killing of Armenians was genocide. A previous law approved by the French parliament was struck down in February by the Constitutional Council, which said it infringed freedom of speech. Turkey rejects the term “genocide” for the deaths of Armenians during their deportation by the Ottoman Empire. The issue has strained Franco-Turkish relations in recent years. Francois Hollande’s predecessor Nicolas Sarkozy had also ordered his government to draft a new law after the old one was struck down. “Francois Hollande has again expressed his willingness to propose a bill designed to curb the denial of the Armenian genocide, as he had said during his campaign and even before,” the Coordinating Council of Armenian Organisations of France (CCAF) told the AFP news agency. A delegation from the CCAF will meet Francois Hollande before the end of the month to discuss what form the new law would take, French media reports say. On Thursday, remarks by French Foreign Minister Laurent Fabius during a meeting with his Turkish counterpart appeared to indicate that the Constitutional Council’s ruling would make it impossible to take up the issue again. However, Francois Hollande’s office said on Saturday: “The president expressed his commitments during the campaign. He will keep them. The vote on the previous bill in January spurred angry protests in both in Paris and Ankara. The Turkish government suspended political and military co-operation with France. The Turkish government argues that judging what happened in eastern Turkey in 1915-1916 should be left to historians, and that the new French law would have restricted freedom of speech. 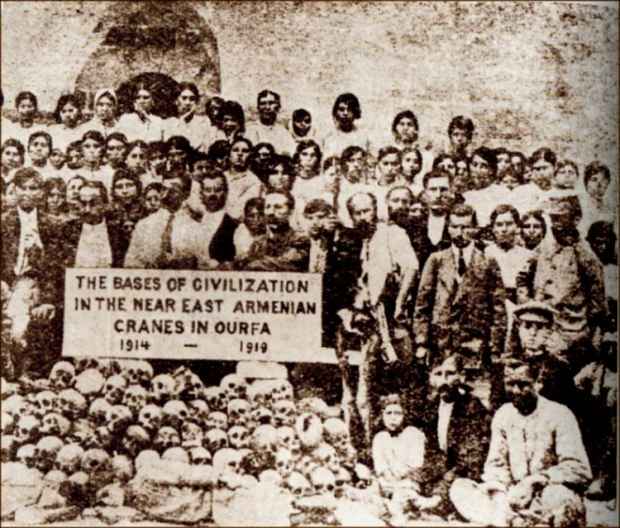 Armenia says up to 1.5 million people died in 1915-1916 as the Ottoman empire split. Turkey has said the number of deaths was much smaller. The killings are regarded as the seminal event of modern Armenian history, a tragic bond uniting one of the world’s most dispersed peoples. Among the other states which formally recognize them as genocide are Argentina, Belgium, Canada, France, Italy, Russia and Uruguay. The UK, US, Israel and others use different terminology. France is home to an estimated 500,000 ethnic Armenians while about 550,000 Turkish citizens also live in the country.